Start 2016 off strong by making these promises to yourself, your business, and your employees. Get your business in compliance with current laws, attract and retain the best talent, and maintain a safe workplace. Here are 4 New Year’s resolutions for business owners and the resources that will help you achieve them. Competitive benefits offerings are a great way to attract and retain top-talent. Consider adding these items to your benefits package: retirement plans, savings accounts, wellness programs, etc. 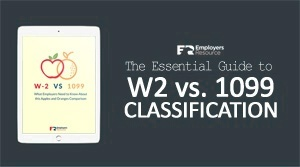 Take a look at how a PEO company can help you win talent with a beefed-up benefits package. 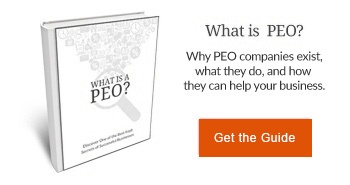 How Can a PEO Help My Business Win the Battle for Talent? Look for places that need improvement or updates in your workplace. Even if you don’t work in an at-risk industry, there’s always room for improvement. Here are some of our past blog posts where you will learn common workplace hazards, how to prevent them, and maybe even a funny story or two. Enjoy! A new year is a great time to update your old processes, especially your interviews. The game is changing not only for candidates but for hiring managers too. Expectations are high and you want to keep your business current so you can attract the best talent. Here are a few free resources to help you update your interview processes. Employers Resource would like to wish your business a safe and successful year ahead. Why Are Employee Benefits Important to Your Small Business?